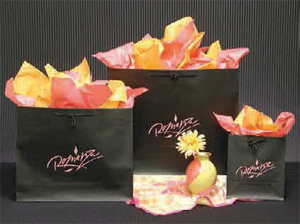 Retail Stores | DM Packaging offers Retail Packaging including custom designed shoppers and bags, plastic shopping bags, non-woven bags, paper bags, gift bags, apparel bags, retail gift boxes, shopper bags, merchandise bags and more in bulk wholesale quantities. DM Packaging has greatly expanded its retail shopping bag and packaging line. See all the options below. Note: Stock Frosted Super Wave and Soft Loop Handle come 250 per case, High Density Merchandise Bags come 500 and 1000 per case depending on size, High Density T Shirt bags come 1000 per case. 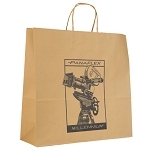 We have low minimums on custom orders, such as 3000 minimum on Shopper Bags with side gussets and cardboard bottoms and 5000 minimum on Merchandise Bags. T-Shirt Bags less than 1 mil in gauge have 25,000 minimum and 50,000 on higher mils. 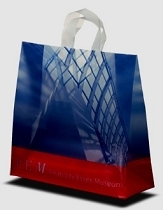 DM Packaging offers a whole new line of attractive retail shopping bags bags in a wide variety of sizes, colors and styles. 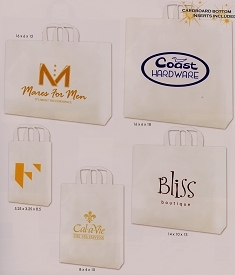 Perhaps the best thing about these bags is the low minimum order for custom work - only 200 minimum order for an imprint. is made from 100% biodegradeable, sustainable & reuseable bamboo fiber. 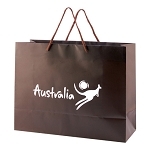 DM Packaging offers fasionable purse style retail shopping bags bags in a wide variety of sizes, colors including natural tons and zebra and cheetah prints. Die cut styles are offered as well as shown below. 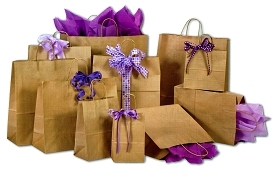 DM Packaging offers paper retail shopping bags bags in a wide variety of sizes, colors. 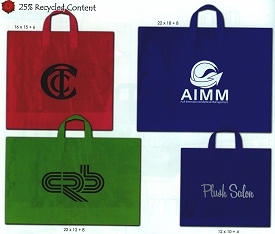 Perhaps the best thing about these bags is the low minimum order for custom work - only 250 minimum order for an imprint. 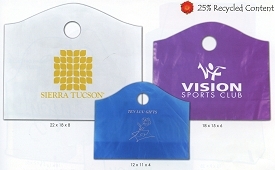 DM Packaging offers High Density Merchandise bags in a variety of colors and sizes. These high density bags are made from 25% recycled content. DM Packaging's square bottom t-shirt bags are great for dispensing "one-by-one" by pulling the bottom gusset fold, while its heat sealed square bottom offers extended strength and keeps multiple meal boxes flat. 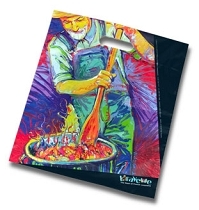 These versatile take out bags come in a variety of options and are made from recyclable HDPE 2 plastic. Just hang onto a dispensing rack or a standard wall hook for quick dispensing and loading. 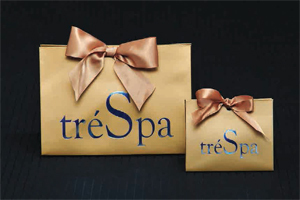 Custom printing is available with a minimum run per size of 50,000. DM Packaging's line of economical flat bottom t-shirt bags sport an angle square bottom design for extra strength for heavy takeout orders while keeping the meal boxes flat without tipping. 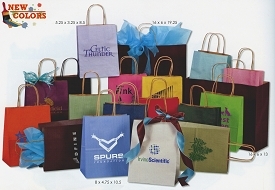 DM Packaging offers High Density T-Shirt bags in a variety of colors and sizes. These t-shirt bags are made from 25% recycled content. 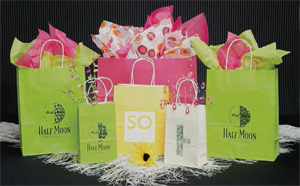 DM Packaging offers Low Density Super Gloss Die Cut Handle bags in white or color film plastic. 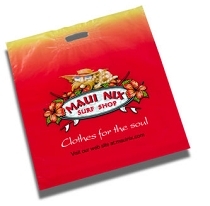 Our Low Density Plastic Bags offer strength and a shiny finish to show off high quality printing. Thickness of the bag can range from 1 - 3 millimeters. 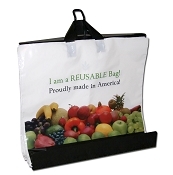 These bags are Made in America with 25% Recycled Material! Who said Plastic T-sacks are for supermarkets only? 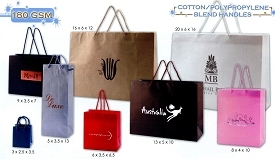 We can produce large size T-shirt retail bags for department stores, mass merchandising, and any type of retail stores. 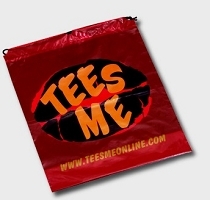 These high quality T-Sack bags come with competitive prices. 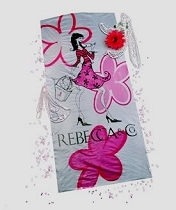 Our largest size bag offered is 20'' x 10'' x 36''. Call us for details. Co-Ex bags feature a Hi-Density inside for strength and a Lo-Density outside for a shiny look to support high quality printing. The Wave Top Bag shown here is bottom gusseted and opens into a large bag. 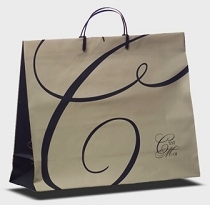 The Co-Ex bag is common in many applications including retail and food service. 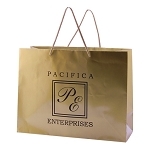 DM Packaging offers Frosted Tri-Fold Handle Shopping Bags in a variety of colors and sizes. 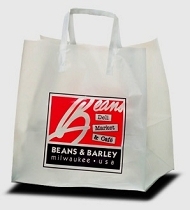 DM Packaging offers Frosted Soft Loop Handle Shopping Bags in a variety of sizes. 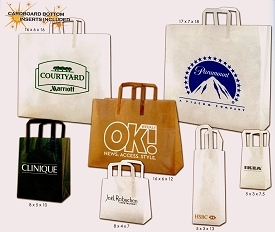 These Soft Loop Handle Bags work well for retail or any application and make a great Trade Show Bag. 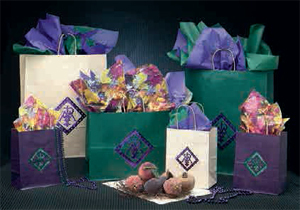 DM Packaging offers Frosted Soft Loop Ameritote Handle Bags in a variety of colors and sizes. 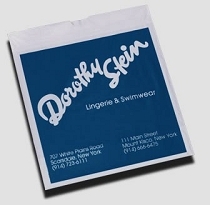 DM Packaging offers Frosted Super Wave Bags in a variety of colors and sizes. 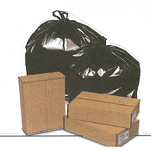 DM Packaging offers Low Density Fold Over Die Cut bags in a variety of colors and sizes. The Fold-Over feature ensures strength to keep the die cut hole from breaking. 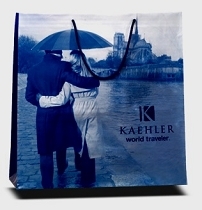 This popular bag can be used for all applications from retail settings to trade shows. DM Packaging's Soft Loop Handle Bags are available with Low Density Plastic that offer strength and a shiny finish to show off high quality printing. DM Packaging offers Bridge Rigid Snap Handle Bags, with the ability to be snapped shut or not. 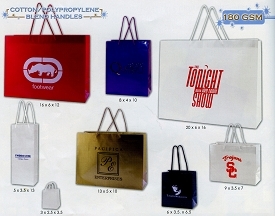 This bag can be used from retail to all industries, including trade shows. Looking for an Eco-Friendly alternative to paper and plastic bags? Consider these reusable and environmentally friendly soft loop handle bags. 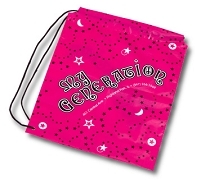 18" x 16" + "8"
Durable polyethylene bag, holds 20 to 25 lbs, reusable for approximately 100 uses. Made in the United States and printed water based ink. No fear of lead based ink or pigment in our bags. Buy American and set your worries aside. These are our stock bags, but custom prints are available. These soft loop handle bags are 100% recyclable at the end of their life span. * Note: This new reusable bag is a replacement to the nonwoven bag previously sold to food-related industries. According to a recent news story like that found in USA Today, lead found in some reusable grocery bags is raising concerns that the toxin could pose environmental or health concerns to consumers. 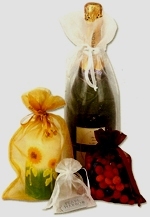 Environmentally Friendly Bags and Packaging Products. Looking for an Eco-Friendly alternative to paper and plastic bags? 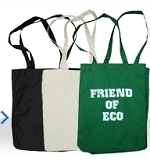 Consider these reusable and environmentally friendly non-woven tote bags. 13.5" x 7" x 15" x 7"
Our floor stand display rack is made of heavy tubular metal with a round base. 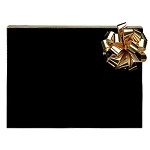 It has a durable black paint finish and includes a plastic holder for signs. Looking for an Eco-Friendly alternative to paper and plastic bags? Consider these reusable and environmentally friendly hemp bags. 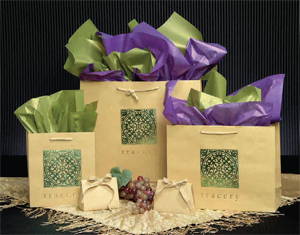 DM Packaging offers Enviro Sack Gift Wrap in a variety of patterns to match holiday seasons, special occasions, or "just because". Many more seasonal, special occasion and all occasion pattern options available - all on 100% recycled content or 10% post consumer recycled content. We also stock a variety of tissue papers as well! DM Packaging offers Matte Laminated Eurototes in a variety of colors and sizes. *Available only in sizes 8x4x10, 13x5x10 and 16x6x12. DM Packaging offers Gloss Laminated Eurototes in a variety of colors and sizes. *Available in White Gloss Only. 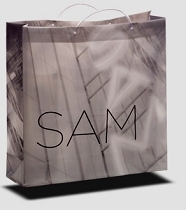 DM Packaging offers Tinted Kraft Shopping Bags in a variety of colors and sizes. Forest Green, Sky Blue, and Apple Green. 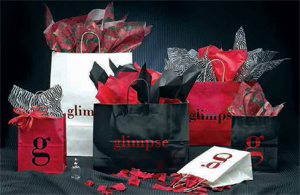 DM Packaging offers Gloss Coated Shopping Bags in a variety of colors and sizes. DM Packaging offers a variety of boxes including apparel boxes, gift boxes, jewelry boxes and gable boxes to fit your packaging requirements. Our boxes come in a wide selection of natural, gloss white and tinted colors. DM Packaging offers both Natural and Tinted Kraft Apparel Boxes in a variety of sizes and colors. 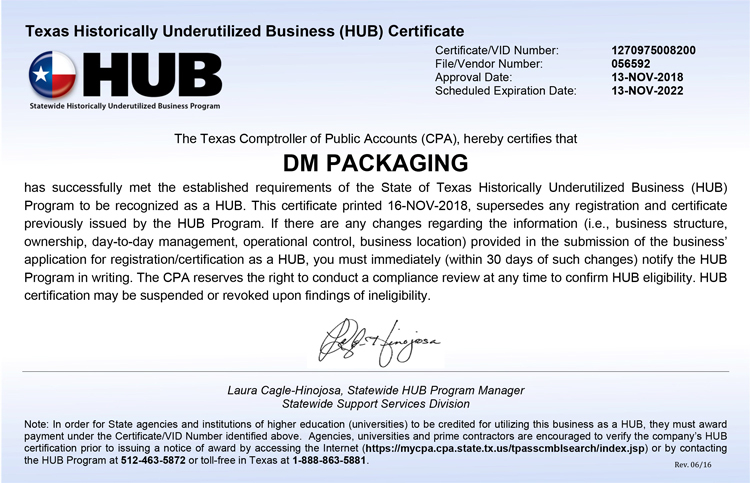 DM Packaging offers Tinted Kraft (many color options!) 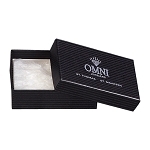 and White Gloss Gift boxes in a variety of sizes. 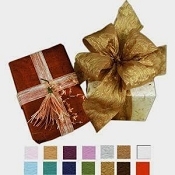 DM Packaging offers Color Gloss Gift Boxes (many color options!) in a variety of sizes. in a variety of sizes. DM Packaging offers both Natural and White Gloss Gable Boxes in a variety of sizes. DM Packaging is now offering commercial and industrial gloves and sterile gloves in a variety of options and combinations. DM Packaging industrial grade gloves answer the needs of the professional in terms of fit, form, function, quality, comfort, style, and protection. The 60000 Series Powder Free, Latex Industrial Gloves provide exceptional comfort and premium quality for general purpose professionals. Learn More: Visit our Gloves page to learn more about all of the Commercial & Industrial Exam Gloves we offer. DM Packaging now offers an even more impressive line of coffee bags. 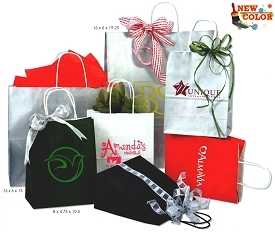 We provide all styles of bags including custom printed coffee bags to include name and logo. Small quantities are not a problem; call for more details. These super sized heavy duty trash can liners are 2.0mil thickness and are designed to be strong for extra holding power. They are made from premium quality, low density resin for high puncture and tear resistance and are available in clear or black. The garment roll is a new retail packaging item for DM Packaging. We offer plain and random printed, high quality garment rolls. All sizes are available at affordable prices. 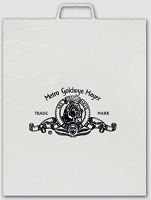 DM Packaging now stocks a wide assortment of retail merchandise bags. 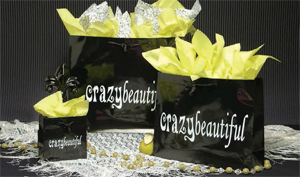 DMP Packaging is now offering a variety of options and styles of Custom Designed Bags. 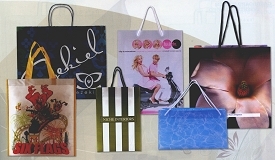 A customized bag reflects the individual style, appearance, and brand image desired. If a stock bag style, even slightly modified will not work, then we suggest taking a look at DM Packaging's line of fully customizable bags as an option to consider. Contact us for more information, or to go over more fully all of your custom bag needs and specifications. The below tips are just a few elements to consider in building a custom designed bag. Paper, Low Density Plastic, High Density Plastic, Non-Woven, and Laminated Paper. Consider the intended use of the bag. 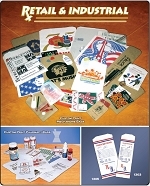 A range of paper colors and/or paper laminates are available. Bags can be colored on the inside as well as the outside. 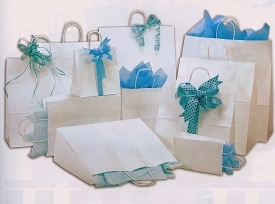 Many bags require a bottom cardboard insert to add stability to the bag as well as to the contents that are placed inside. 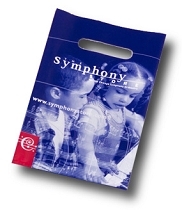 Inserts can be laid in the bag, or made a part of the construction of the bag. 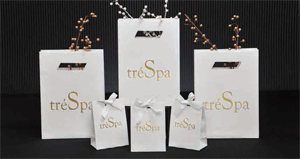 Matte, Gloss, UV Coating, or a combination of finishes can be used on a custom laminated paper bag.